According to Robertson County Schools Director Mike Davis. Robertson County Schools will be CLOSED Monday march 3 due to expected ice, sleet and snow making for icy road conditions especially on secondary roads in the county. * geographic area… For locations generally along and northwest of a line from linden… To Ashland city… To cross plains. 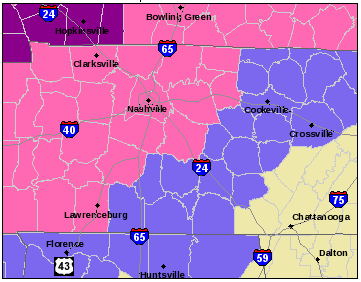 * ice accumulations… One half up to one inch. * snow accumulations… From a dusting from southern Perry county up to two inches for locations approaching the Kentucky border. * timing… Noon until 9 am Monday. 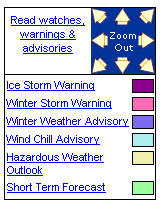 * main impact… Hazardous driving conditions are expected due to freezing rain… Sleet and snow. Trees and power lines will likely experience significant ice accumulations… Resulting in power outages. * other impacts… With north winds of 15 to 25 mph with gusts approaching 35 mph possible… This could worsen ice accumulation problems on trees and power lines.